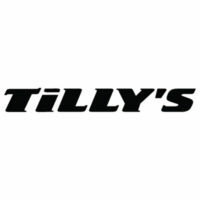 As a company that continues to grow in popularity and coverage, there hasn’t been a better time to submit your Tilly’s application. With stores in over 180 locations, and ambitious plans to expand to almost triple this, this is one of the fashion retail industry’s hottest prospects. The company sells branded clothing, shoes and equipment, for action-sport lifestyles. These include snow-sports, skateboarding and surf-wear as well as other extreme sports such as motocross. The sold brands include well-known labels such as Billabong, Vans and Quicksilver, as well as smaller, independent designers. Tilly’s believes in providing a fun, unique atmosphere in stores – akin to the lifestyles on which its merchandise is based. Employees and customers benefit from a relaxed atmosphere, with innovative merchandising techniques used to enhance the feel of the store. This laid back approach has proved successful, not only by improving the shopping experience, but the enjoyment of employees in their roles. Retail stores are always on the lookout for fun and enthusiastic individuals to add to their workforce. Customer service and merchandising are the focuses here, maintaining the store experience that they have become renowned for. The Corporate Office and Distribution Centre are based in Southern CA. There are often many roles available here for the right dedicated and committed people to put their creative talents to use. Here you can develop your professional career whilst enhancing the value of the business, working in a casual and fun environment. How old do you have to be to work at Tilly’s? Applications for store positions are only taken from candidates who are over 16 years old. Some store roles and all corporate/distribution positions will require that applicants are at least 18 years old. The employment benefits on offer are generous. Medical & Dental coverage is included, as are contributions to a 401k retirement scheme. This is in addition to paid holidays and vacation, and a hefty employee discount on merchandise in stores. Store hours will vary from location to location, though they tend to be from 10:00am to 21:00pm – closing a little earlier on a Sunday. Whereas Corporate Offices roles will often keep standard office hours, different shift patterns may be operated by Distribution Centre personnel. In-Store Visual Merchandiser – You are energetic, and you are meticulous about presentation. You understand how effective merchandising can increase footfall, to the extent that you can be a key driver in sales. This entry-level position usually starts around minimum wage, but this is a great platform from which to grow a retail career. Customer Service Associate – You have the knowledge and sensitivity to assist a customer shape a look, and help with any of their shopping needs. You can promote brand and make consumers feel welcome in the store. Hourly wage starts around the $10 mark. Assistant Manager – You have previous experience in fashion retail, and you are a professional when it comes to providing customer service. You are a team member and a team leader, with strong organizational skills. Assistant Managers can earn a salary somewhere between £25k and $30k per annum. Store Manager – The upbeat atmosphere is yours to maintain, and you have the talents needed to achieve targets and effectively deliver service to a high standard. You are a leader, with the responsibility for developing employees and coaching them in success. Annual salary is affected by targets and bonuses, but can be between $39k and $45k per annum. What kind of customers would you expect to be serving? The interviewer is assessing your knowledge of the company’s core customer base. You should not forget, however, that although particular demographics may shop at Tilly’s more frequently than others, the company needs to make sure that it offers a diverse range of product to cater for all. What could you do to improve your local store? Don’t just pick at faults. Take the things you love about your local store and talk about how you could enhance them further. If you know can identify issues, don’t just cite them – offer creative solutions. Which would you say is more important: merchandise presentation, or customer service? Don’t be fooled. You are expected to explain why the quality of both is so important to the business. These two go hand in hand – both will need to be maintained to a high standard is the generation of sales is to be achieved. When do you feel was the last time you failed? You interviewer doesn’t want to hear that you are perfect. They want to know that you are capable of learning from mistakes and improving your performance after self-assessment. Knowing when you could have done better and coming up with ways to make sure you do is a fine quality for any prospective job candidate to have. What made you apply for this position? Talk about your passion for fashion, and your aspirations for the future. Do not reel off the perks you fancy. Show that the promise of career development with a growing company was the catalyst for your enthusiasm. Available Tilly’s careers can be browsed on the Tilly’s jobs online webpage. Here you can read a job description and responsibilities, apply online, or use the ‘download application form’ button to obtain a printable application for Tilly’s. Follow the link below to the Tilly’s jobs page, to find out more about how to apply for Tilly’s online. There are many fields to be carefully completed on your direct application. The same information is required whether you are filling out a printable application form or submitting an online application. List all relevant experience and be clear and honest. Due to the number of candidates who apply for jobs at Tilly’s, you may not receive a person response straight away. Your resume will be saved for around a month after submitting your free application. After review, you will be contacted by a hiring manager should any suitable job opportunities exist at that time. If you are called for an interview, it will likely take place in your most local store. Dress smart and maintain a polite and professional attitude. Confidence is always perceived well an interviewer, particularly in the fashion retail industry. Coming across as creative and enthusiastic is the best way to convert your Tilly’s application into a working career.